Thirty years ago next month (in Feb. 1989) I established the Washington, D.C. office of Americans for Peace Now, the US support organization for the Israeli peace movement Shalom Achshav (Peace Now). Our primary goal was to tell American Jews, Congress, and the Administration (George H.W. Bush had just been inaugurated) that there is an Israeli peace movement and other options for peace; something that Israel and the Clinton Administration seemed to discover only a few years later as the Oslo Process began to unfold in 1993. By that time I was no longer with APN, having been abruptly fired in 1991 in an organizational reshuffle, but I have continued to work in NGO’s, think tanks, and universities in Washington and Israel (1996-2002) since then, with different organizations, as the outlook for peace became bleaker and hard even to imagine. 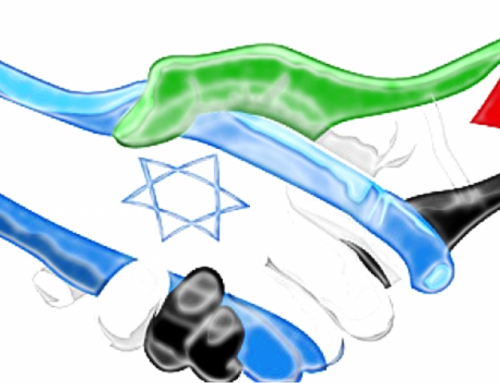 For the most part we in the American Jewish peace movement have been standing against the notion, prevalent today in Israel and much of the U.S. (especially in Congress) that Israel has no partner for peace. We have proudly carried the banner of the American Jewish Left. We oppose BDS – but also fiercely oppose the laws and practices that penalize anyone who supports BDS. This constellation is now rapidly changing. 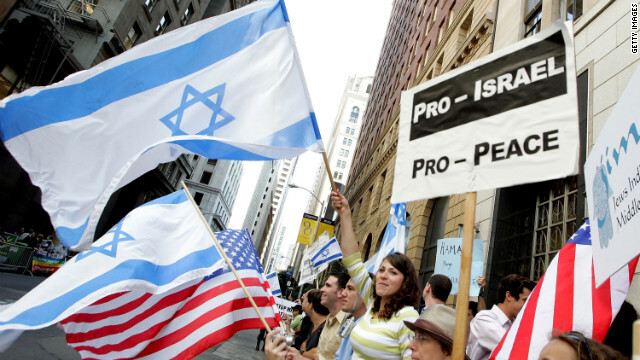 The BDS movement – while unsuccessful in organizing any sort of successful boycott of Israel – has contributed heavily to the polarization on this issue that has driven Israelis to believe that the whole world is against them, and many liberal and leftwing Americans and Europeans to regard the Israeli-Palestinian conflict as simply oppressed Palestinians fighting against a repressive Israel. This latter view, simplistic as it is, is now gaining ground within the Democratic Party (for the first time two House members support BDS), in the farther Jewish Left (Jewish Voice for Peace has come out as fully anti- Zionist), and in liberal media (see Michelle Alexander’s op-ed in the Jan. 20 NY Times, likening her willingness to denounce Israel to the Reverend Martin Luther King’s speech in 1967 opposing the Vietnam War). L’havdil! We (to be clear, I am speaking as leader of one organization in the ‘American Jewish moderate Left’) must recognize that we are now in uncharted territory. We in this movement are used to being tarred by the American Jewish and Israeli establishments as well as by avowedly rightwing organizations as ‘pro-Palestinians’, ‘self-hating Jews’, ‘Israel-bashers’, ‘BDS supporters’ – even as we openly oppose it – etc., etc.). For years we felt we could afford to largely ignore the smaller groups well to our left who call for Israel to be a secular ‘democratic’ (i.e., not Jewish) state, and scoff at the ineffectiveness of BDS. Now, however, we have to adjust ourselves to the new reality where there are visible, articulate, and growing forces in the liberal left and the Democratic party who regard Israel as the sole villain in this complex situation, and demand Palestinian rights even at the cost of Israel’s eradication. While the latter goal is not exactly an immediate danger, it distorts the discussion by making it seem black and white/ good and bad, and largely serves to empower the rightwing forces here and in Israel, who increasingly claim to see antisemitism and a new Holocaust on the horizon, and behave accordingly. One way to deal with this is to examine new alternatives for solutions to the conflict, such as various forms of confederation (here is a discussion on the subject that we recently sponsored), instead of, or as a version of, the ‘traditional’ Two-State Solution. 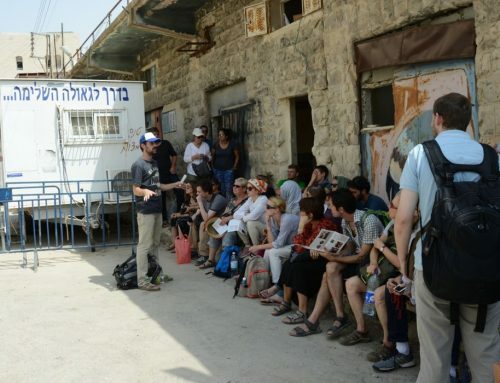 I spent part of last summer visiting settlements in the West Bank (for the first time in 20 years) and talking to settlers working with Palestinian nationalists on defusing tensions and defending Palestinians against “Price Tag” attacks by violent settlers, while envisioning eventual confederation that would recognize both people’s national rights to the entire Land of Palestine/Israel. Roots/Shorashim is one such organization; Two States, One Homeland is another. We also must establish an ongoing dialogue with those to our left, if they are willing to engage. That is particularly important, as the American Jewish establishment is generally unwilling to engage with such groups and, increasingly even with us; for example the Boston Jewish Community Relations Council has declared a secondary boycott on BDS, i.e., it will expel any organization that cosponsors an event with another organization that supports BDS! That seems about to happen to the Boston Workmen’s Circle organization. Michelle Alexander’s critique is important because of what she does say and especially what she doesn’t. It worth reading as a harbinger of what we will have to deal with. I agree with many of the criticisms of Israel’s actions in her article. What irritates me is that she seems utterly oblivious of those Israelis and American Jews who have been fighting the Occupation for thirty years – and some even longer. She mentions only two (fairly new) American Jewish organizations, Jewish Voice for Peace and IfNotNow, which is an activist organization of young people that I largely admire, but that is generally unwilling to work with us or even acknowledge the work that many of us have been doing for decades. This is by no means ‘sour grapes’. Just as my generation proclaimed “Don’t Trust Anyone over 30,” IfNotNow is fully entitled to follow its own path. Our generation, which remembers the Six Day War, has failed to stop the Occupation in the 52 years since it began. They are entitled, as is JVP, to explore their own path. But I am dismayed that Ms. Alexander, often speaking as “we” (African Americans? Liberals? non-Jews?) seems unaware that she has adopted the name of a leading Israeli anti-Occupation organization (Breaking the Silence), or that some of us have been seeking the support of people like her for years in opposing the Occupation. That there are real Israeli fears. That large parts of the Israeli Jewish population oppose the Occupation and has demonstrated that for years. That it is not simply open and shut, black and white, oppressed and oppressors. I expect that we will be hearing a lot of views like Ms Alexander’s. The Jewish establishment will certainly behave as if she has declared open war on Israel – and perhaps on the Jewish people as well, despite her explicit condemnation of anti-semitism. Thus, it falls to us, the pro-Israel, pro-peace organizations and individuals, to engage with her and those like her, to help her understand that the issue is more nuanced than she seems to realize, and that some nuance is essential in order to engage Israelis who, after all, are probably the only ones who can, in the end, stop the Occupation. So, after decades of trying to message the Right that Palestinians have rights, we will also have to message the Left that Israel and Israelis do too. That the Occupation must be ended but that Israel must survive. That the silence must indeed be broken – but that thinking that you’re blazing new ground when you’re new to the terrain is harmful and risks internecine battles that do no good for those you want to help. So, as our parents told us, we have to look both right and left, and realize that both danger and opportunity come from both directions, in order to get to the other side. Paul Scham is President of Partners for Progressive Israel; Associate Research Professor of Israel Studies at the University of Maryland and Executive Director of its Gildenhorn Institute for Israel Studies. How, precisely, do we know that the BDS movement has “contributed heavily to the polarization on this issue that has driven Israelis to believe that the whole world is against them.” But has it, really? Are there any polls or surveys that back that up? 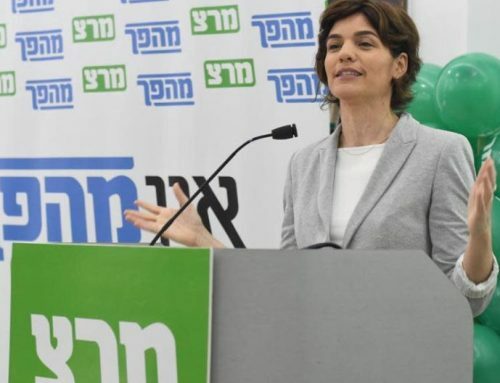 In December, the newly-elected mayor of Haifa, Einat Kalisch-Rotem (Labor Party), appointed as her Deputy Mayor Raajaa Zatry, a leading BDS activist among Palestinian Israelis. 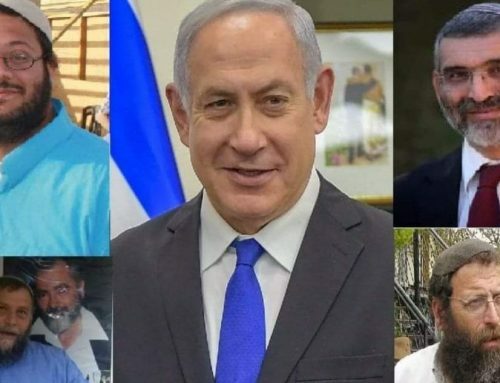 After Zaatry refused because of some controversial statements he made about Hezbollah and Hamas came to light, Zaatry’s Joint List colleague Shahira Shalabi took his place. 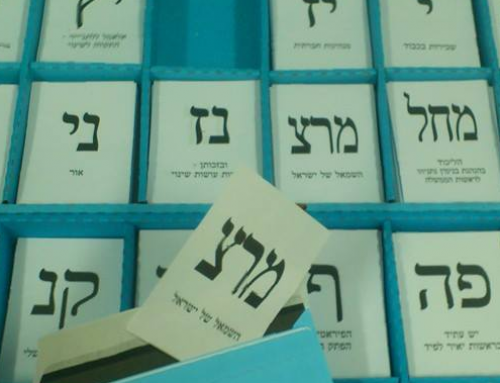 Rotem’s move is a bold one that gives tremendous, even historic, legitimacy to a growing BDS movement. inside Israel. That would seem to go against the oft-stated claim that BDS is pushing Israel further to the Right. I’m a member of the Workmen’s Circle, and it endorsed then-candidate Julia Salazar for the New York State Senate, representing North Brooklyn. She won her election, and is now the first Jewish elected official in the US to endorse BDS. What happened in Boston may be payback against the Workmen’s Circle for endorsing her.